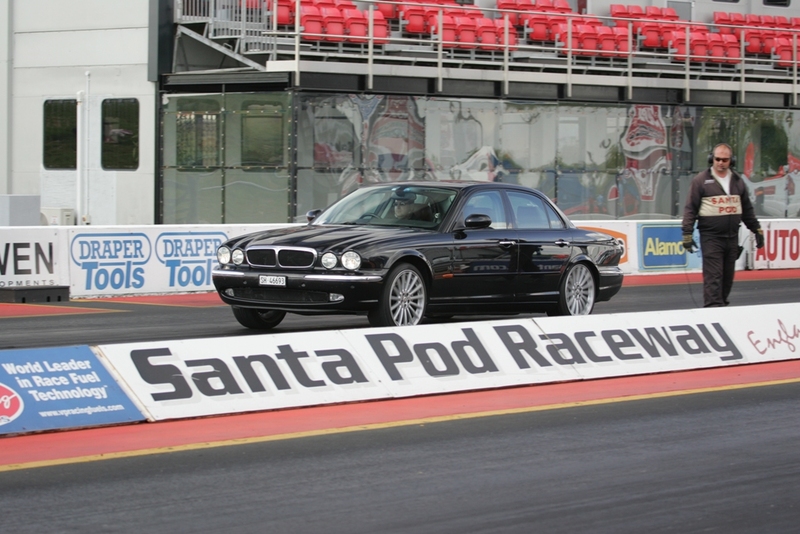 That was my best (recorded) run today at Santa Pod. BUT i'm pretty happy with this result!!! Last edited by Cambo; 04-19-2017 at 06:12 AM. That's pretty darn quick! What's the altitude at Santa Pod? I'd have to look it up, it's in the Midlands so can't be too high up. 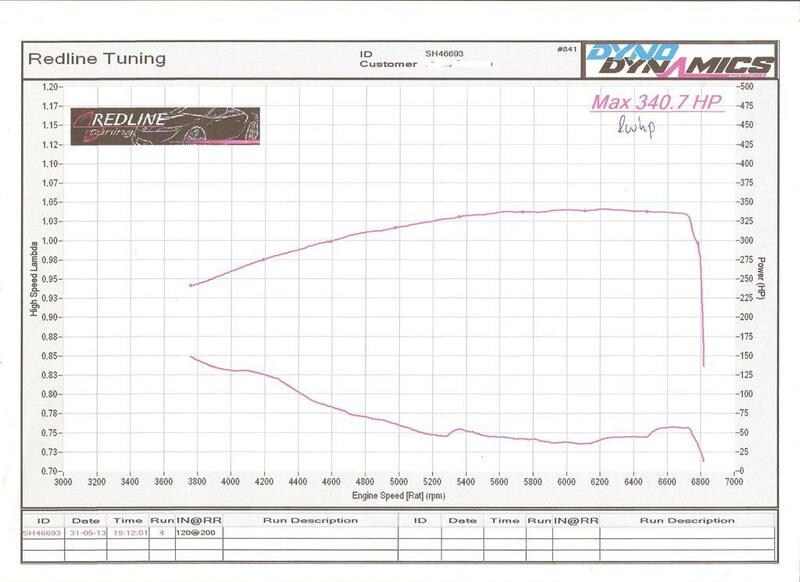 Oh and by the way, I had this car on a dyno last friday, will make a separate thread later, but it made 340.7HP at the wheels. Last edited by Cambo; 06-04-2013 at 11:51 AM. Was that with the TC on or Off? DSC off, Sport Mode off, e-brake holding me at the line & just floor it. Had to warm the tyres up (actually ended up pulling rubber off the track & onto the tyres) and obviously the Quaife LSD did it's job. Was really worried about traction but it wasn't too bad in the end. Could maybe get another tenth or two of the 60ft time with better rubber. Last edited by Cambo; 06-02-2013 at 10:16 AM. Reason: tenth or two, not half-second! I would have thought Sport On, DSC off was best. How do you keep the Ebrake on? When you hit the gas it turns off the Ebrake, Do you keep the button depressed to do that? I tried in Sport mode later in the day, one run was bad 13.7 or so because of a bad launch (2.5s 60ft time) and the other was similar 13.28, and mph was the same in the afternoon, so heat-soak didn't seem to be much of a problem. I could not see any advantage to sport mode in this case. I could probably get a 13.1 out of the car as-is with some more practise. The e-brake is simple. Pull it up to activate & it holds the car on the line at idle, foot off the brake pedal, & just get on the gas when you see the yellow light on the tree. You launch from idle. See the video it hooked up pretty well, didn't bog down badly or anything. 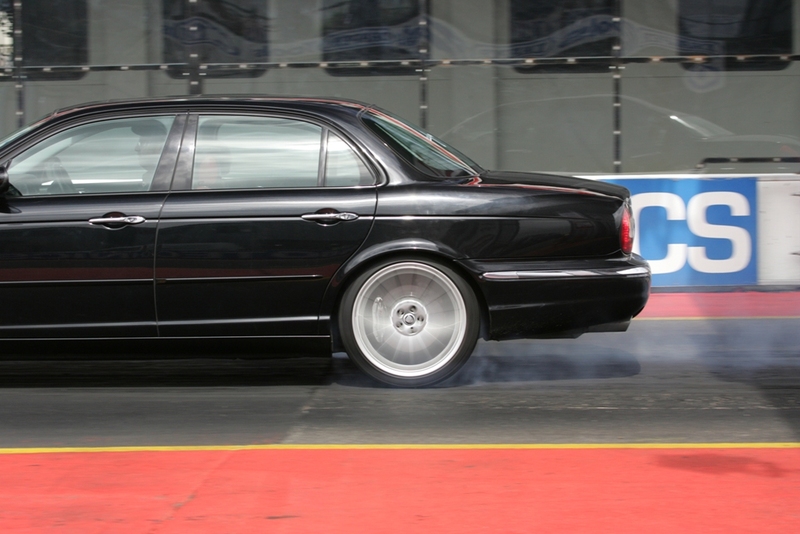 I tried left foot braking & loading up some revs, just resulted in massive wheelspin. My tyres were pretty bad, I think with some good, soft, wide rubber (thinking 285/40/18 on some late 2010 onwards X150 rear alloys) the load up with left foot braking could be more effective. The e-brake slows down the reaction time (one of the other guys yesterday did 3 runs using e-brake, 3 using foot brake, & foot brake was a bit quicker on the RT) but just going for an ET on paper, the RT doesn't matter too much. Last edited by Cambo; 06-02-2013 at 10:29 AM. I love it ! The supercharger sounds fabulous on the video. As you say, not a lot of fuss, just a lot of speed. Mmmm that supercharger whine is glorious. Was dyno'd in the UK, on a (proudly) Australian-made Dyno Dynamics rig. 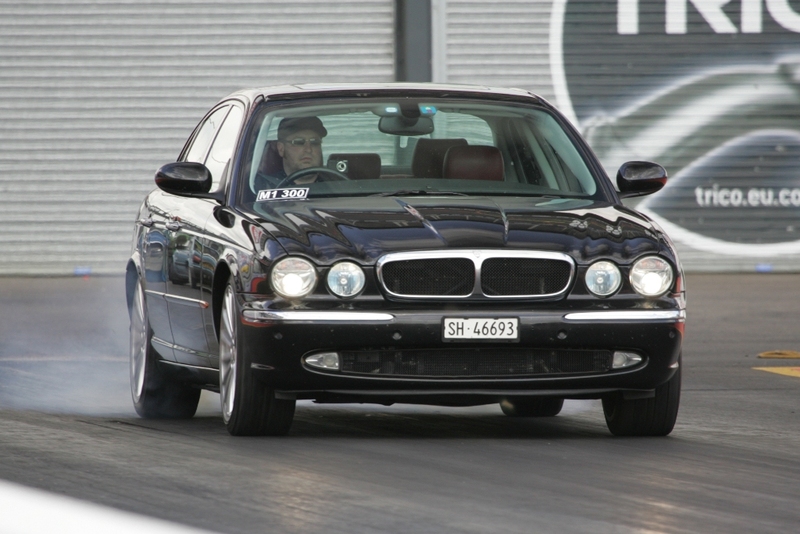 - The rpm indication is ~300rpm too high, since the Jags have coil-on-plug ignition, it's not possible to get a precise rpm measurement, the dyno calcuates it. 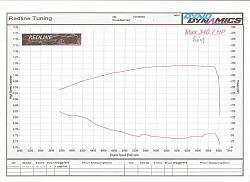 - The 2nd curve was the measured Lambda, for air-fuel-ratio at tailpipe. 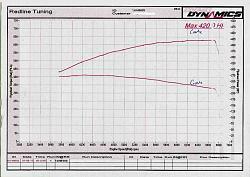 The dyno actually came up with a figure at the flywheel of 420.1HP, however I questioned the operator about the drivetrain losses because I saw another X350 XJR have measured losses of 21%. The operator said 22-23% is common. If we take 21% then that makes ~432HP at the flywheel. The 420HP figure suggests losses of around 19.25%, which is lower than previously seen, as well as what the operator suggested. As it turns out, the engine made 20HP less at the wheels like that. With the engine cover replaced & the bonnet closed, it did that last run as per the sheet above. Regarding the AFR's, the operator described them as "rich as F#&%!" and that another 15-20HP could be had from a tune. As for the exhaust, well the damaged back box must be costing me something, and the original cats...well who knows for sure? There's still a bit to be had from the old girl yet! Looking at globlue90's charts as a benchmark https://www.jaguarforums.com/forum/s...-thread-79842/ it seems that my power curve flattens out whereas his just keeps on going up, spinning the Eaton too fast? Exhaust/cats holding it back? Whatever the case, i'm happy with the numbers so far, especially with those miles. Just look at the 1/4 mile results! Also impressive to me is how flat the power curve is, very impressive, 300hp at 4600! Well done. 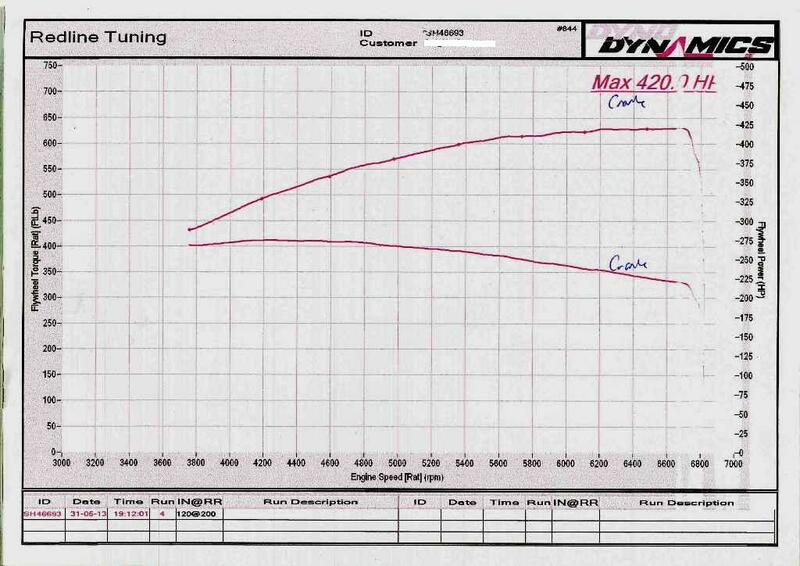 Actually it was lower revs than that, the rpm scale is out 300-500rpm (not sure exactly) cause there is no way it runs to 6700rpm like the chart shows. Tyres are 5-year old Falken FK452's, 255/35R20, they are pretty hopeless on the street if i'm honest. Trying a launch like that at a traffic light will only result in wheelspin & very little forward motion. I burned them up pretty hard for the first run, & moved well out of the box, this pulled a lot of rubber off the track & onto the tyres (the starter actually came over & told me off for doing it) but it got them fairly sticky. After that I only did small short burnouts like in the video. Wider & stickier is the way to go for me! Don't forget the rpm scale is out by a few hundred revs, i'd probably take 500rpm off. The wider tyres on the back of mine have definately helped with grip, alot less intervention from the traction and car tries to break out less going around corners. I would say wider would definately help on launches at the strip. I will get reports after the cats are done (2 weeks) as this weekend is a long weekend and im going flying rather than work on cars!!! Do you really thing the flap removal has a benefit? 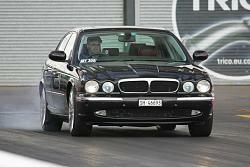 Very impressive drag strip times for a big car!! What modifications do you plan next? Are you going to attempt to get into the 12 second range? Sure it's big, but it's not exactly heavy, which helps a lot. I'm as it's damaged, i'm going to have to do something about the exhaust. New cats & a free-flowing system are on the cards once it gets down to Oz. I also have a set of new 255/35R20 Mickey Thompson Street Comps waiting down under, which will also help i'm sure.